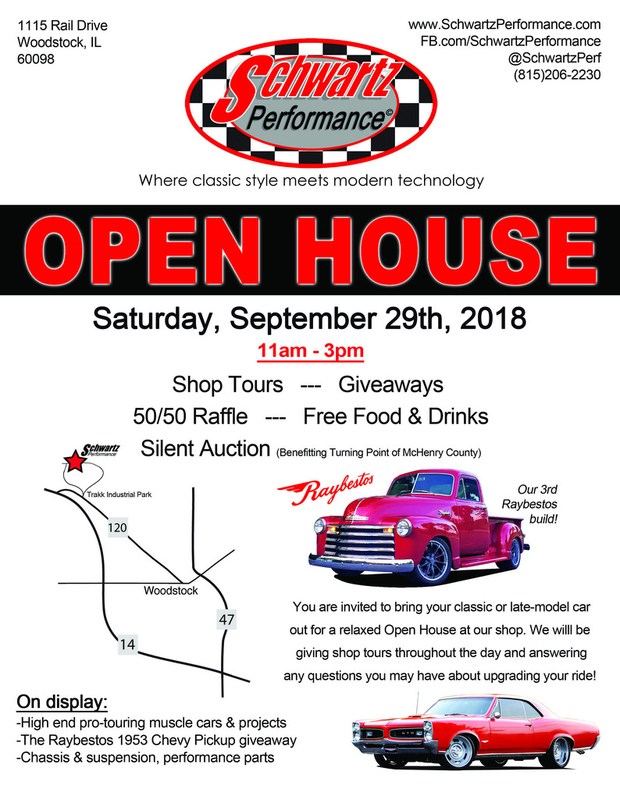 Join us for our 2018 Open House! They will have several awesome Pro-Touring rides on display, in all different stages of completion. In addition, many companies have stepped up and donated products/services for our silent auction, which is benefiting Turning Point: a local domestic violence shelter in McHenry County.